On 9 August 2014, the Te Ātiawa ki Taranaki Claim Deed of Settlement was signed by Te Ātiawa and the Crown at Rangiatea, New Plymouth. 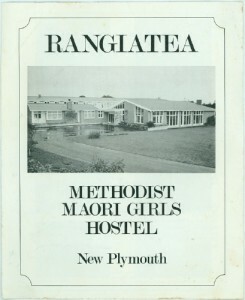 Rangiatea is a former Māori Methodist Girls’ Boarding Hostel now used as a Kura Kaupapa school and off-site teaching facility by the Western Institute of Technology and Teaching. 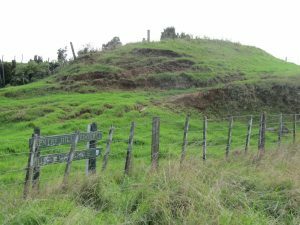 The site is owned by the Ngāti Te Whiti hapū, having been handed back by the Methodist Church some years earlier. Originally, the signing of the Deed of Settlement was to have been held at Owae Marae, Waitara. However, a later Owae Trustees meeting rejected the opportunity to host this historic occasion. The Owae Trustees, now claiming to speak for the Otaraua and Manukorihi hapū only, rejected the occasion on the grounds that the final agreement reached by Te Ātiawa negotiators did not represent their views. This was partly because both hapū had walked away from the negotiating process, some months earlier; and they had continued to protest thereafter, attempting to derail the final, intense stages of the negotiations. The other four hapū of Te Ātiawa however – Puketapu, Ngāti Rahiri, Pukerangiora and Ngāti Te Whiti – had remained staunchly supportive of the negotiations proceeding. Following the Owae rejection, the Deed of Settlement signing was transferred to Kairau Marae, near Bell Block. However, after agreeing to host the event, Kairau trustees later recanted, instead choosing to support the protesting Otaraua and Manukorihi hapū. In adopting this position, Kairau Marae Trustees ‘broke ranks’ with their own tribal representative serving on the mandated Te Ātiawa Iwi Authority who continued to support the negotiations. Similarly, and for similar reasons, the Muru Raupatu Marae Trustees decided not to support the hosting of the Deed of Settlement signing. The Owae Trustees also later expelled the Trust’s Ngāti Te Whiti representative, reducing Owae’s hapū representation – originally set in the 1930s – to five hapū, undermining Owae’s claim as the primary historic Te Ātiawa marae. Why this expulsion occurred was not clear but was linked to Ngāti Te Whiti’s decision to host the Deed of Settlement signing, which it did unreservedly in the face of threats of disruption. 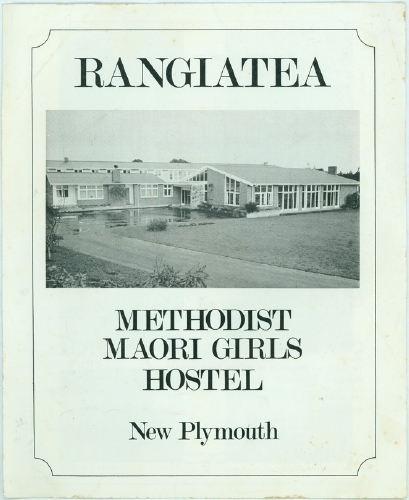 About 300 Māori and guests attended the historic signing at the former Methodist Māori Girls’ Hostel, which had operated between 1940 and 1977. Speaking for Te Atiawa during the pōwhiri were two of our kaumātua, Mr Harry Nicholas and Mr Rangikoutuku Rukuwai. Mr Rauru Kirikiri from Ngāti Awa spoke in reply for the Minister of Treaty Negotiations. The Minister, Hon Chris Finlayson, then addressed the gathering, canvassing the historic basis and substance of the Deed of Settlement. Speakers following the Minister were Mr Peter Moeahu, who spoke for the Te Ātiawa Iwi Authority mandated by Te Ātiawa to conduct the negotiations on their behalf, and Ms Leanna Poutu, Chairperson of the new post settlement governance entity, Te Kotahitanga O Te Ātiawa. The Mayor of New Plymouth, Mr Andrew Judd, was also invited to address the gathering. The Minister and officials then proceeded with the signing of the Deed of Settlement. Ms Wikitoria Keenan and Mr Moeahu, the two Te Ātiawa negotiators, signed on behalf of Te Ātiawa. All Māori and guests present were then invited to join in the signing of the documents, as witnesses and supporters of this historic occasion. One hundred and fifty four years earlier, the struggles of Te Ātiawa had commenced when the British Army fired on Te Kohia Pā on 17 March 1860. To read more of the North Taranaki war which followed those 1860 shots at Te Kohia, click here – # North Taranaki War.